The past few months tech companies and enthusiasts have been fawning over blockchain. If you’re unaware: blockchain is simply a decentralized ledger system that allows you to see who has what, how much, at that moment, in a secure way. 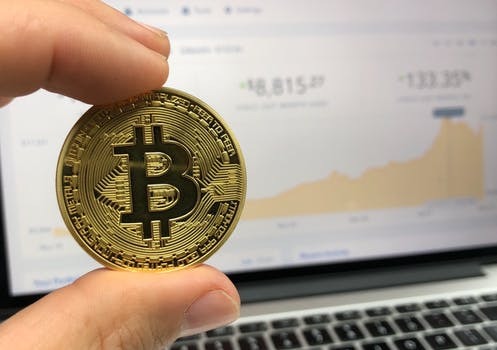 Originally proposed by a mysterious and anarchistic figure named Satoshi Nakamoto; blockchain is the technology driving cryptocurrencies like Bitcoin, Ethereum, Ripple, and many others emerging today. It has caught the interest of companies like IBM, Oracle, Accenture as well as many startups who are all trying to figure the best way to leverage the concept. Recently Bitcoin has received the most attention. After rising to $18,000 a coin in December, Bitcoin was the first cryptocurrency to prove the legitimacy of blockchain on a global market scale. The exponential growth of Bitcoin proved to many doubters you could make money, a difference or both off of blockchain. While it has been receiving criticism for falling significantly, (it is currently valued at around $8,000 a coin) one would be remiss not to mention that the DOW dropped over 1,000 points amounting to the largest drop of all time thus far. Despite Bitcoin’s decline, Fortune suggests the coin will bounce back to $20,000 by the end of 2018. As a result of Bitcoin’s rapid rise and sharp decline there have been many misconceptions about the level of security blockchain offers. While it is true blockchain allows for a much more secure transaction from within its network, smart contracts and oracles are two key elements/individuals related to the blockchain that could be penetrated and manipulated more easily than the general public might think. Smart contracts are essentially legal contracts between two parties using blockchain but are executed as soon as all relevant criteria are met. Oracles are the individuals writing the smart contracts and their goal is to bridge our non-deterministic world with that of the executable machine. There have been several hacks already with the most notable being Coincheck who lost $530 million. If businesses are planning on using blockchain to transact, then all should be aware of its different points of failure and potential weaknesses. In contrast to public opinion, blockchain can be a very secure technology but just like every other technological resource it is not impenetrable. Getting through blockchain is like getting through a sophisticated gate. Hackers might consider sneaking in behind someone who has the key or stealing the key entirely and that is essentially the concept behind hacking a smart contract or oracle and would be my guess in how the major blockchain hacks were able to be executed. Oracles hold a serious amount of power in their hands, and if we are to put our faith in those managing the blockchain then we should also know (to a certain extent) what measures they are taking in maintaining security. The blockchain industry is still extremely young.There are going to be considerable innovations over the next few years in regards to the security of cryptocurrencies. I have faith industries will be disrupted by blockchain, but let us not overlook the critical role oracles will play in ensuring the safety of the blockchain and our wallets.